Can’t make it along to Classes this month but still want to do my hamstring challenge? I’ve launched an online course on Udemy which is half price currently. A reminder that there is no class this Wednesday. See you tomorrow or next week. Fed up with the fringe already? Loving it but need some time out? Both at the same time? 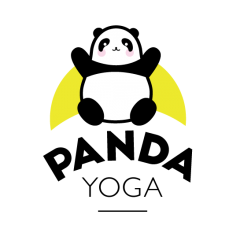 Join Panda Yoga Edinburgh for an hour of complete relaxation and I promise no one will try to give you a flyer at class. You can now buy a class pass for £30 for 4 classes to use within 60 days of your first class. Perfect if you can’t make it along for a few weeks or aren’t sure of your availability at the start of the month. A new beginners yin yoga course is starting on Wednesday 4th July from 6.15-7.15pm for a 4 week block. Yin yoga is a slow style of yoga and works on the connective tissue, fascia, and deeper layers of muscles. Perfect for beginners in yoga and yin yoga this class will explore yin poses and help you find the perfect variation for your body. Wear loose comfortable clothes. We hold positions for about five minutes so a light sweater or long sleeved top and socks may be useful. Mats, Bolsters, blocks and blankets are provided. A reminder that as I’m in Portugal getting some sun and doing a lot of yoga, there is no Wednesday classes this week.